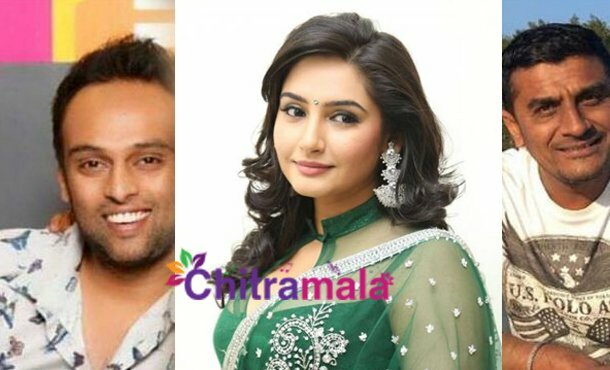 Ragini Dwivedi is a popular heroine in Kannada film industry who is currently working on an exciting project. Meanwhile, she is in the news as two people claiming to be her boyfriends got into an ugly spat at a private hotel. Apparently, Ragini had been to Ritz hotel on Friday night with her friend Ravi. At the same time, Ragini’s former boyfriend Shiva Prakash was present in the hotel along with friends. Having seen Ragini with someone else, Shiva could not control his anger and started arguing with Ragini. Ravi who couldn’t remain silent too entered the scene and they started man-handling one another. Losing control over his anger, Shiva Prakash hit Ravi with a beer bottle on the head. The hotel management who reacted immediately broke them up and got the situation under control. But, Ragini and Ravi approached the cops in Ashok Nagar where Ravi filed a case against Shiva Prakash alleging that Shiva threatened him to kill. The cops carried out a primary investigation and observed the CCTV footage at the hotel. They later arrested Shiva Prakash. The twist in the tale is that Ravi is already married and having differences with the wife. Just before he left out to the hotel with Ragini, Ravi’s wife called him to express her anger and threatened her that someone would beat him up to teach a lesson. Within no time, the fight happened and it is resulting in a lot of unanswered questions.